"Invite Our Services To Your Event"
Invite-Events- 'Invite us to your event'.Welcome to Invite-Events Limited. 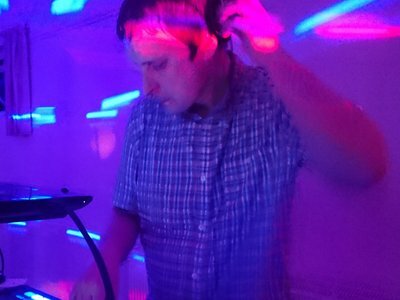 We offer professional and affordable mobile disco services based in Hampshire. Whether its your wedding reception, a milestone birthday, a kids birthday party, an anniversary, or any other reason for a party - we will work with you every step of the way to help ensure I'm providing exactly the type of entertainment you're looking for.We have over 20 years experience performing at all types of events. Invite-Events Limited provides discos and package deals to suit all budgets from basic rigs to full roadshows with lasers and properly specified sound systems for big events.Regardless of the service you choose our presentation and enthusiasm is never compromised. We always arrive fully prepared with professional standards. We carry over 20,000 songs ranging from the 1950s to the present day.All bookings are contracted to give you peace of mind and deposits are required to secure bookings. Please see our promo video for all of our services.For a free quote contact us today and see what we can offer! Required by many venues, Invite Events has a current PLI policy with National Association of Disc Jockeys in the amount of £10 million. Also required by many venues, Invite Events has supplied satisfactory evidence of holding current PAT inspections of their equipment dated within the last 12 months. A Method Statement outlining Invite Events&apos; Health & Safety procedure for setting up disco equipment has been provided. Invite Events has provided Risk Assessments undertaken at events sourced via needadisco.com, indicating that they can undertake these competently. Why do people choose to book Invite Events? Good write up, hi tech equipment, liability insurance and PAT, Cost effective and can provide us with the additional extras we require. Good value for money, very friendly and responded quickly and in detail to further enquiries. He was very efficient and came straight back to me. Quick response and good testimonials. "Matt did a great job DJing at our wedding. He was lovely and friendly, helped us keep things running smoothly with announcements when we needed them, and was very accommodating of our guests' (sometimes bizarre!) song requests. He also took some lovely photos for us to add to our collection from the day. Thank you for a great day! :)"
"John provided a fantasic service, the event was spilt over too different age groups and both sets were very happy! Brilliant value for money! [ADMIN NOTE: Feedback earned under a different company identity Invitations Entertainment Ltd., changed August 2018]"
"On the whole the DJ and the Magic Mirror were very good. There were a few little issues which I would like to mention. Firstly a few of the photos appeared overexposed on facebook which was a little disappointing.Secondly, even though on the whole the music played was good a few requests were made several times but not played and also not all the songs on the setlist given were played which my guests found a little disappointing. Also I understand and accept that self promotion is expected but it was a little too much. However all in all, the event went really well and John did what I requested which was to get the party started and keep it going! [ADMIN NOTE: Feedback earned under a different company identity Invitations Entertainment Ltd., changed August 2018]"
"Thank you so much for your comments and it was really lovely meeting you all. Everyone was having such a great time, I played over the given time as they didnt want the party to finish. " "We had a party for my husbands 50th birthday. We had a great evening, all the music we had requested was played & complemented by similar tunes throughout the evening. We also had the photo booth as an extra, all the guests had fun using this throughout the night. Fantastic party brought together by great music with fun memories stored by the photo booth!. [ADMIN NOTE: Feedback earned under a different company identity Invitations Entertainment Ltd., changed August 2018]"
"I was very apprehensive using a non recommended disco for my function but had no choice. John from Invitations Entertainment Limited was quick to follow up the emailed request, giving a full overview of his company and the various solutions on offer. I booked the gig and requested my play list be added to the set. Marco arrived, set up and delivered an excellent evenings entertainment. The playlist was used, he added his own songs and mixed them all together to create a top notch evening. He was immaculately turned out, polite and friendly. I was very impressed and happy to write this feedback. Thanks you for a great evening. [ADMIN NOTE: Feedback earned under a different company identity Invitations Entertainment Ltd., changed August 2018]"
"John was great from start to finish. Made us feel at ease from the first call, ensuring he understood what we did and didn't want. Was prompt with responses, great price and really made our night special so thank you John! Would recommend to everyone. [ADMIN NOTE: Feedback earned under a different company identity Invitations Entertainment Ltd., changed August 2018]"
"Brave was a brilliant DJ, great balance of music and everyone enjoyed the evening. I would definitely recommend Invitations Entertainment Ltd. [ADMIN NOTE: Feedback earned under a different company identity Invitations Entertainment Ltd., changed August 2018]"
"Excellent!!! [ADMIN NOTE: Feedback earned under a different company identity Invitations Entertainment Ltd., changed August 2018]"
"Dj was great, really funny and perfect for our event. Would definitely recommend. [ADMIN NOTE: Feedback earned under a different company identity Invitations Entertainment Ltd., changed August 2018]"
"John and a friend's band, The Old Aged Punks (OAPs), were fantastic at my fiancee's 50th birthday party at Eastleigh Football Club on Easter weekend. Couldn't have asked for a better night. Would recommend John to everyone. Thanks again. [ADMIN NOTE: Feedback earned under a different company identity Invitations Entertainment Ltd., changed August 2018]"
"We were very lucky on such a last minute booking so close to Christmas. Stuart arrived early, made the room look great, did a perfect job with no fuss and had our small croud perfectly entertained. [ADMIN NOTE: Feedback earned under a different company identity Invitations Entertainment Ltd., changed August 2018]"
"Thank you for your kind words and it would be pleasure to be invited to another event at such short notice. Stuart is a professional DJ, with many years’ experience. 'Thank you for the invite'"
"Great service from time of booking until the event communication was good. Everyone enjoyed the night. [ADMIN NOTE: Feedback earned under a different company identity Invitations Entertainment Ltd., changed August 2018]"
"Brilliant service rom the initial enquiry to the event itself. Easy to book and our DJ Martin was excellent. I would definitely use Invitations Entertainment Ltd again in the future [ADMIN NOTE: Feedback earned under a different company identity Invitations Entertainment Ltd., changed August 2018]"
"Thank you for your kind words and it would be pleasure to be invited to another event. Martin is a professional DJ, with many years’ experience. 'Thank you for the invite'"
"i would have this dj again eney time he was grate [ADMIN NOTE: Feedback earned under a different company identity Invitations Entertainment Ltd., changed August 2018]"
"Thank you for a great review also inviting Invitations Entertainment Limited. " 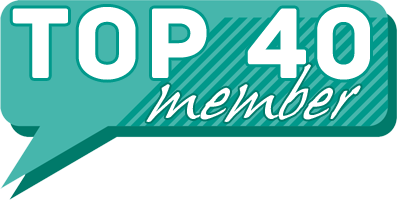 "Initially, I was impressed with the fast response from John Smart, his reviews and his prompt and courteous exchange of e-mails. Then, I became disappointed, as 1) a week before my event, he passed me over to another DJ - Mark, who wasn't one of the profiled DJ's on John's website. I felt let down that I wasn't getting the DJ (or a member of his team) that I was expecting and anxious at the unknown quantity of Mark 2) Mark wasn't local - he travelled over 2hrs and 100miles to attend my event! The potential for problems and delays coming from so far away were high, fortunately Mark arrived on time, but I thought Needsadisco put you in touch with local DJ's in your area. 3) Communication between John and Mark was poor - my playlist was not passed on and despite having paid John in full in advance, Mark was told to expect cash payment on the night. So during my party I was twice asked for money. That aside, Mark was on time, efficient and put on a good disco and my son thoroughly enjoyed his party. So all ended well. [ADMIN NOTE: Feedback earned under a different company identity Invitations Entertainment Ltd., changed August 2018]"
"This was for a wedding party. I spoke to John twice in advance to ensure that he had a copy of our first dance and emailed the details to him as the track was fairly obscure. I also explained the kind of music I wanted throughout the evening and supplied a small playlist. I also checked the arrival time with him as I was very clear that I wanted everything set-up and background music playing for the guests arrival. On the night John sent a replacement DJ who arrived late. He was still had equipment across the floor 10 mins before the arrival time, at which point I was very firm in telling him what needed to happen and how quickly. I run my own corporate events company and so I have very clear expectations and I am good at communicating them in advance and on the day. Once set-up Kevin asked me what kind of music I wanted, which made it apparent that he had not been properly briefed in advance, despite my two conversations with John. Neither did he have a copy of our first dance, I had brought a CD with me as a back-up but Kevin was unable to play that. We then spent the next thirty minutes or so trying to find a copy of the track on YOU TUBE, which is what was used in the end, with Kevin keeping his fingers crossed that he did not get a call on his mobile as he was streaming from it. At some point during the 1st hour Kevin received my playlist from John and for the rest of the evening he proved to be a very good DJ. I have no complaints about how Kevin ran the evening once he was set-up and settled, in fact a few of the guests mentioned how good he was. However I do feel he was badly let down by John. I was told there was some personal problems which meant John was unable to attend, but in spite of this he should have ensured that Kevin was fully briefed, emailed him a copy of my playlist and first dance and ensured that Kevin would arrive on time. He could have then called me to explain and apologise for not being there himself and to check that I was happy with the arrangements. I will not use this company again, nor will I recommend them to anyone. [ADMIN NOTE: Feedback earned under a different company identity Invitations Entertainment Ltd., changed August 2018]"
"Thank you for your feedback and I apologise for any inconvenience this may have caused. However John did brief DJ Kevin (subcontractor) with playlist and first dance song also he was playing music and setup from the time agreed. I wish you and your partner all the best and once again apologise for any inconvenience. " "Matt the DJ was perfect. He automatically knew when to play certain sounds, when to up the tempo or slow it down. He really had a radio DJ voice and everybody enjoyed the evening the dance floor was packed all the time. I highly recommend him and really great value for money. [ADMIN NOTE: Feedback earned under a different company identity Invitations Entertainment Ltd., changed August 2018]"
"A really fantastic DJ, all my friends, young and old were dancing away and had a really super time. One of those parties that goes down as legendary! I supplied a couple of playlists to the main man, John Sharp at Invitations Entertainment and these were conveyed to DJ Matt as he loves Motown and Northern Soul. Despite the rather inaccessible location, Matt had the sounds and lights all setup very quickly, and started on time. We had a chat beforehand to make sure he understood what I wanted, Matt was charming, listened carefully and played all the right music. As the first track filled the venue, I knew I'd made the right choice - the sound was perfect, very clear and crisp. Matt played to the audience, he's a professional and kept everyone engaged and dancing, which is just what I wanted. There were some requests which were accommodated, and announcements which were clear. Matt was friendly and approachable. I could see he was enjoying himself lining up the tracks, which although it sounds like a minor detail, made such a difference to the vibe of the evening. The DJ's spinning lights added to the party atmosphere, which was caught on camera for some really memorable photographs. Great work all round, a big thank you to John for listening so well to my requirements, and choosing the right DJ from his team. I will definitely use Invitations Entertainment again, and recommend them wholeheartedly. [ADMIN NOTE: Feedback earned under a different company identity Invitations Entertainment Ltd., changed August 2018]"
"Thank you for your kind words, it was pleasure supplying Matt as your DJ. Thank you for inviting Invitations Entertainment Limited. " 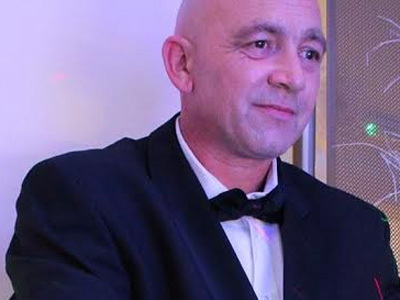 "John kept the guests entertained and was very receptive to requests. Great lights too! Great party [ADMIN NOTE: Feedback earned under a different company identity Invitations Entertainment Ltd., changed August 2018]"
"Thank you for your kind words. " "John was excellent! Friendly, presentable and got the sense of the party just right. Prompt to reply to the query and all other correspondence. I would highly recommend! [ADMIN NOTE: Feedback earned under a different company identity Invitations Entertainment Ltd., changed August 2018]"
"The DJ John was very pleasant, arrived when her said he would, very polite and friendly. Incorporated my son's playlist and changed music when asked to get people up on the floor. Would recommend to others. Thank you. [ADMIN NOTE: Feedback earned under a different company identity Invitations Entertainment Ltd., changed August 2018]"
"Thank you for your kind words and inviting DJ J Smart to the 18th Birthday party "
"John provided us with a great evening's entertainment. He arrived early and was set up in plenty of time of guests arriving. He cleared away quietly and efficiently. John was extremely personable and was great with kids and adults alike. No hesitation at all in recommending him for all sorts of occasions. [ADMIN NOTE: Feedback earned under a different company identity Invitations Entertainment Ltd., changed August 2018]"
"i would recommend this DJ, very polite and helpful. music was top and the whole night went great. would use again [ADMIN NOTE: Feedback earned under a different company identity Invitations Entertainment Ltd., changed August 2018]"
"Thank you for your feedback and inviting Invitations Entertainment Limited"
"Our booking was for our daughter's 13th birthday party. Luke arrived promptly and set up quickly. Worked his way thorugh the playlist that A had generated and all the girls (and one brave boy!) had a lovely evening. [ADMIN NOTE: Feedback earned under a different company identity Invitations Entertainment Ltd., changed August 2018]"
"Luke is an excellent member of the team who always delivers at any event. 'Thank you for the invite'." "10/10 for John Smart ....would definitely use again. I was a bit apprehensive as I had no knowledge of Invatations Entertainment was also surprised at how far John was willing to travel. We had a great night, he played well over the finishing time and was very pleasant and friendly. I had plenty of compliments about the disco in general. I feel that John would rise to any challenge and do you proud. [ADMIN NOTE: Feedback earned under a different company identity Invitations Entertainment Ltd., changed August 2018]"
"Thank you for your review and for inviting us again to your 70th Birthday party. " "The DJ was the icing on top of the cake for our event. Great lighting set up, excellent sound quality, happy to take requests, flexible with set up time - excellent value for money. Will definitely use again. [ADMIN NOTE: Feedback earned under a different company identity Invitations Entertainment Ltd., changed August 2018]"
"Thank you for your feedback. DJ Matt really enjoyed the event and glad you did too. " "Johns disco was great, 90% of guests were familly members, with ages from toddler to 85 +\' everyone remarked on how good the disco was. I also took advantage of the photo booth offer and Tina who was looking after that part was also praised for her helpful,friendly and happy nature. Everybody loved the booth especially the children. I wholeheartedly recommend John and his Invitatation Entertainment disco, he and Tina helped make our Ruby wedding anniversary a very happy, memorable event. [ADMIN NOTE: Feedback earned under a different company identity Invitations Entertainment Ltd., changed August 2018]"
"Thank for your feedback. Once again thank you for inviting www.invitationsentertainment.co.uk to your celebration and your feedback its most appreciated." "Martin provided a professional services and was totally focused on keeping our guests entertained without being pushy. His choice of music was well adapted for the audience with a very smooth pace throughout the evening. He happily accepted requests and fitted them into the playlist without a problem. He arrived in good time and provided background music for the meal whilst he finished setting up. Martin also brought additional lighting allowing him to adapt to the venue and develop the party atmosphere. Happily recommend to others. 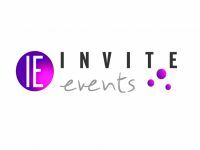 [ADMIN NOTE: Feedback earned under a different company identity Invitations Entertainment Ltd., changed August 2018]"
"Once again thank you for www.invitationsentertainment.co.uk to your 21st Birthday celebration and your feedback its most appreciated." "t was a pleasure working with Invitations Entertainment, John was always pleasant to talk to and answered all my questions quickly whether via email, phone or text. Whilst we didn't end up with John as our DJ, his replacement DJ Matt (sorted out by John) was great and Jessica had a great night. The photobooth we also hired through Invitations Entertainment was worth every penny and Tina ,who manned it was always smiling and helped everyone take some fab pics. [ADMIN NOTE: Feedback earned under a different company identity Invitations Entertainment Ltd., changed August 2018]"
Invite Events also offers a range of additional party services not directly linked to musical entertainment. Please note that needadisco.com has no editorial control over these images which are stored on flickr.com. If you have any concerns about what you see below, for example potential copyright infringement or unsuitable content, you should take this up with Invite Events directly using the Contact section below, or else you may alert flickr.com directly quoting "set number 72157664345992320". If you are contacting Invite Events about an event, it's always a good idea to include the DATE, LOCATION, EVENT TYPE, AGE GROUP and TIMINGS to speed things up!